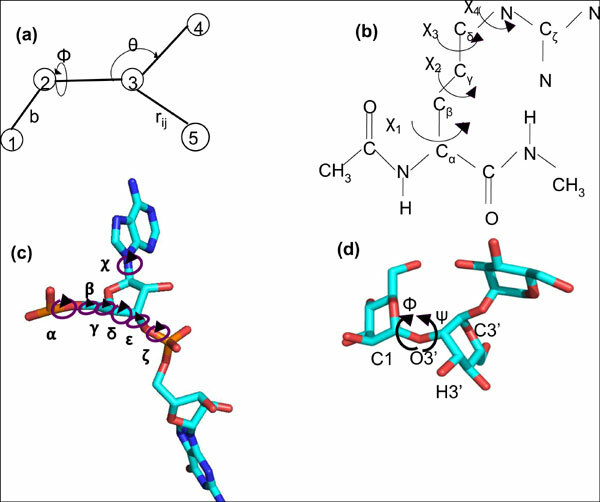 Molecular dynamics (MD) is a computational technique which is used to study biomolecules in virtual environment. Each of the constituent atoms represents a particle and hence the biomolecule embodies a multi-particle mechanical system analyzed within a simulation box during MD analysis. The potential energies of the atoms are explained by a mathematical expression consisting of different forces and space parameters. There are various software and force fields that have been developed for MD studies of the biomolecules. MD analysis has unravelled the various biological mechanisms (protein folding/unfolding, protein-small molecule interactions, protein-protein interactions, DNA/RNA-protein interactions, proteins embedded in membrane, lipid-lipid interactions, drug transport etc.) operating at the atomic and molecular levels. However, there are still some parameters including torsions in amino acids, carbohydrates (whose structure is extended and not well defined like that of proteins) and single stranded nucleic acids for which the force fields need further improvement, although there are several workers putting in constant efforts in these directions. The existing force fields are not efficient for studying the crowded environment inside the cells, since these interactions involve multiple factors in real time. Therefore, the improved force fields may provide the opportunities for their wider applications on the complex biosystems in diverse cellular conditions. In conclusion, the intervention of MD in the basic sciences involving interdisciplinary approaches will be helpful for understanding many fundamental biological and physiological processes at the molecular levels that may be further applied in various fields including biotechnology, fisheries, sustainable agriculture and biomedical research. Keywords: Biomolecules, force field, ligand, interactions, molecular dynamics, molecular mechanics. Keywords:Biomolecules, force field, ligand, interactions, molecular dynamics, molecular mechanics. Abstract:Molecular dynamics (MD) is a computational technique which is used to study biomolecules in virtual environment. Each of the constituent atoms represents a particle and hence the biomolecule embodies a multi-particle mechanical system analyzed within a simulation box during MD analysis. The potential energies of the atoms are explained by a mathematical expression consisting of different forces and space parameters. There are various software and force fields that have been developed for MD studies of the biomolecules. MD analysis has unravelled the various biological mechanisms (protein folding/unfolding, protein-small molecule interactions, protein-protein interactions, DNA/RNA-protein interactions, proteins embedded in membrane, lipid-lipid interactions, drug transport etc.) operating at the atomic and molecular levels. However, there are still some parameters including torsions in amino acids, carbohydrates (whose structure is extended and not well defined like that of proteins) and single stranded nucleic acids for which the force fields need further improvement, although there are several workers putting in constant efforts in these directions. The existing force fields are not efficient for studying the crowded environment inside the cells, since these interactions involve multiple factors in real time. Therefore, the improved force fields may provide the opportunities for their wider applications on the complex biosystems in diverse cellular conditions. In conclusion, the intervention of MD in the basic sciences involving interdisciplinary approaches will be helpful for understanding many fundamental biological and physiological processes at the molecular levels that may be further applied in various fields including biotechnology, fisheries, sustainable agriculture and biomedical research.